Our Slo-motion steel speed humps have been a market leader for over 12 years while our Compliance hump is totally unique to the Australian market and designed in Australia. Both comply with AS2890.1:2004. 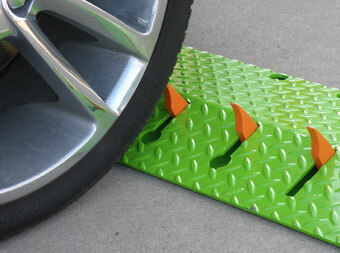 Wheel stops are used where it is considered necessary to limit the travel of a vehicle into a parking space. Wheel stops sold in Australia are covered by AS2890.1:2004. 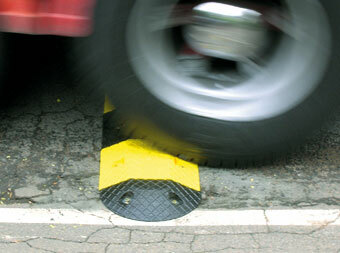 This standard sets out very clear guidelines for the physical dimensions, location and use of wheel stops. 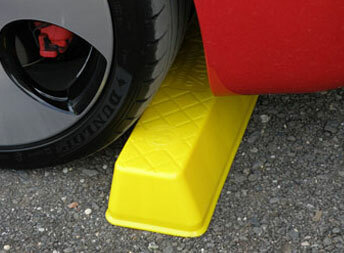 These car park related products are often used by people purchasing speed humps or wheel stops. They represent only a small sample of our complete range and they are available for immediate delivery. If you need help with installation or a site visit, call us today on 1300 55 33 20.